Many people enjoy a good mystery. However, mysteries often leave us slightly disturbed and unsettled, because we're also always searching for answers and when we look for answers, we're sometimes comforted the most by the simplest explanations. 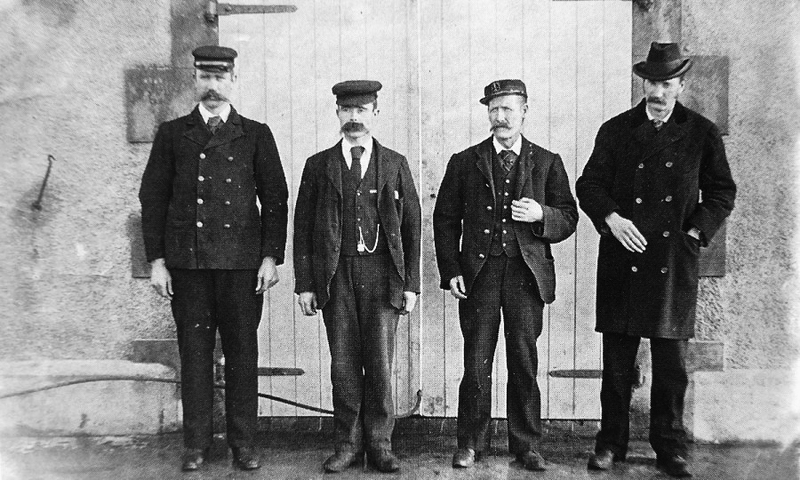 With the case of the Flannan Isle Lighthouse Keepers, most are willing to accept that a massive "Rogue Wave" swept the three men into oblivion. But what if meteorological science matched against clues left from the scene could show that this theory may not be the most plausible? What if several simple, yet extreme events combined to plunge this mystery into the depths of the unexplained? Join us tonight as we interview Keith McCloskey, author of the book, The Lighthouse: The Mystery of the Eilean Mòr Lighthouse Keepers. We'll discuss his in-depth research into the case and the possibility that the simplest explanations, while the easiest to accept, are often not where the real truth lies submerged. "Lighthouse of horror: The disturbing history of Queensland’s Bustard Head lightstation"
"Behold the Hebrides, The Isle of the Pigmies: Strange Evidence from an Ultima Thule"
"Did Formula 1 CGI a Giant Vulture Shadow Into the U.S. Grand Prix Live Feed?" Hear author Keith McCloskey being interviewed by Seriah Azkath on his show, Where Did The Road Go? The Great Courses Plus – Learn about virtually anything, now with over 10,000 lectures on almost any subject you can think of – from history and science to learning a new language, how to play an instrument or explore topics like food, the arts, travel, business, and self-improvement! And now their app lets you listen to just the audio from the courses or watch the videos, just like a podcast! Available for iOS and Android. See for yourself with this special offer: go to TheGreatCoursesPlus.com/LEGENDS to get UNLIMITED ACCESS to their ENTIRE LIBRARY of courses with a FREE ONE MONTH TRIAL! Sign up today and have endless fun improving yourself! Euphomet – From Skylark Media, the producers of the wildly popular Hunt A Killer comes a brand new and fascinating podcast called Euphomet. Hosted by Jim Perry, Euphomet explores real-life paranormal experiences and will captivate anyone curious about the unknown. Regarded by Bustle Magazine as "The podcast that will keep you up all night," their immersive stories will take you closer to the anomalous than ever before with REAL stories from REAL people. You can also join their Facebook group, The Society of Euphomet where like-minded people discuss the unknown and our relationship to it. Euphomet releases new shows on Tuesdays and can be found wherever you get your podcasts. Episode 112: Mystery of the Flannan Isles Lighthouse Part 2. Produced by Scott Philbrook & Forrest Burgess; Audio Editing by Sarah Vorhees Wendel; Ryan McCullough Sound Design; Research Assistance by Tess Pfeifle and the astonishing League of Astonishing Researchers, a.k.a. The Astonishing Research Corps, or "A.R.C." for short. Copyright 2018 Astonishing Legends Productions, LLC. All Rights Reserved.